Edina, which claimed the program's 13th state title with a 3-2 overtime win against Eden Prairie, boasts three players named to the all-state teams, a recognition of the season's best hockey players across Minnesota. Forward Jett Jungels was named first team all-state, and was joined by second team senior Hornets Mason Nevers and Mike Vorlicky. The list of all-state players is awarded by members of the Minnesota media. 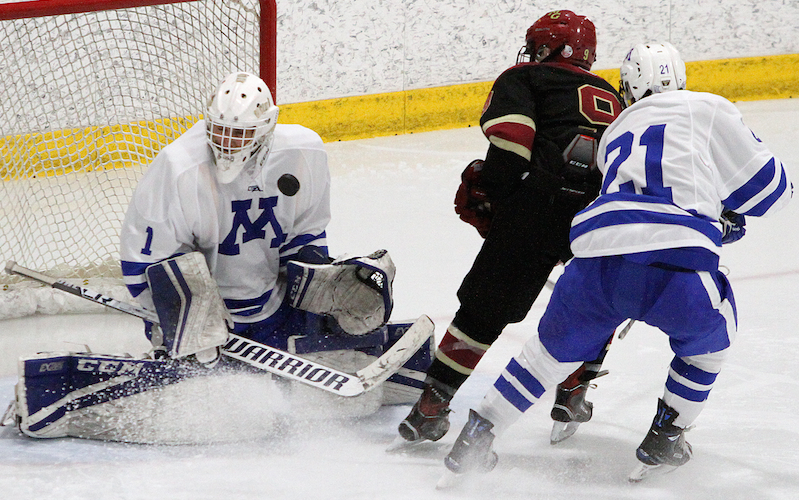 Minnetonka, the 2018 Class 2A champion, also claimed three spots across the all-state team rosters, including two first-team honorees in senior goalie Charlie Glockner and senior defenseman Grant Docter. The Lake Conference was well represented in the all-state teams, with eight of 18 slots coming from the west metro hockey haven. Marshall's Mason Plante, who finished with the regular-season scoring title (40 goals, 79 points), was named to the third team. See below and click through the tabs to view all the players who received the honor.